Join us March 22nd from 5-7pm for an upscale casual “Friend-Raiser” at Advent Coworking Space and enjoy appetizers, beer and wine, and great company while helping CCT. This evening will feature a?special guest performance?by?Playing For Others?teens of their spoken word piece, ?Build People, Not Prisons? and the premier of CCT?s newest video, developed by?Basic Cable. You?ll also enjoy live music, appetizers from?Ink N Ivy, beer and wine. Tickets are $25.Tickets include admission, appetizers, desserts, and drinks. We encourage you not only to attend, but bring a friend or two that you can introduce to CCT. 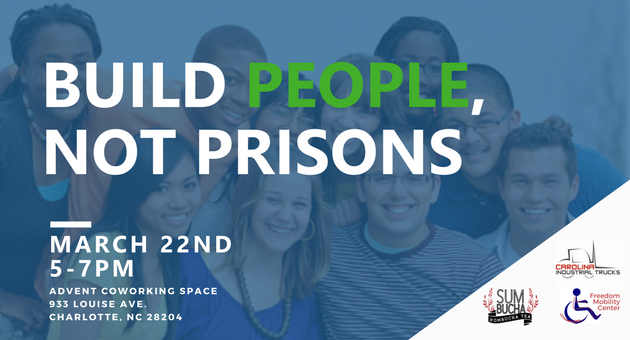 All proceeds from the event will benefit CCT?s three core programs serving Charlotteans impacted by incarceration. Last week,?Playing For Others?put on their largest performance of the year at McGlohon Theater in Sprit Square and honored CCT in the process. Playing for others is an arts-based organization that works with youth in Charlotte. 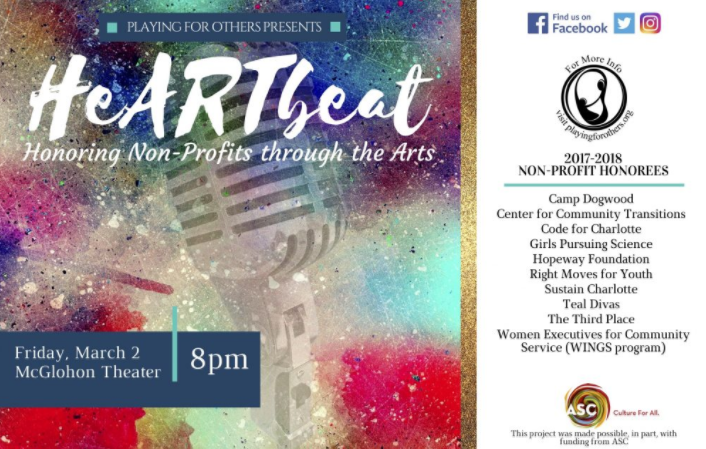 Each year they choose 10 nonprofits to honor with art and performance pieces during the HeARTbeat event. This year, CCT was one of the 10 nonprofit honorees. A video was created and a song was written and performed in our honor and closed out the show. We are extremely touched by the efforts the teens put into our pieces and the tremendous reaction from the audience! We were able to bring about 30 clients and staff including some of our Families Doing Time youth who may one day participate in Playing for Others themselves! It was a wonderful experience. 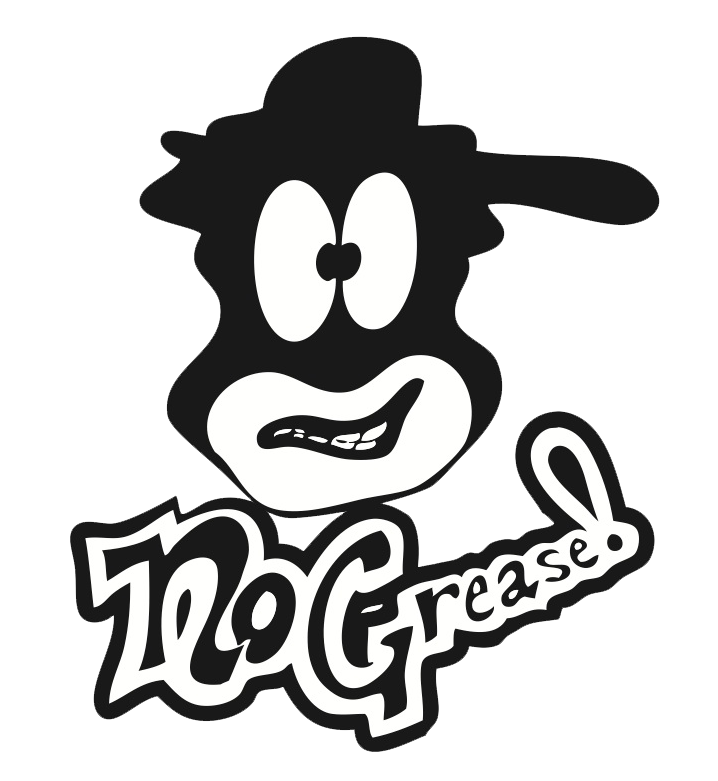 We are excited to announce a new partnership formed with No Grease Barbershop. No Grease will now offer free haircuts to our clients to help prepare them for job interviews! Clients will be given special vouchers for the free cuts and No Grease’s two Charlotte-area barber schools. Any clients in need of a free haircut may contact LifeWorks! for vouchers and instructions! Taste while you volunteer! CCT and other nonprofits will be at NoDa Brewing on Saturday, April 21st from 12pm-3pm for a special National Volunteer Week event. Come on out and taste a variety of brews while lending a hand at “table-top” volunteer projects! ?Fun for kids, friends and families! Learn more and check out other upcoming CCT events including “You Drink, NoDa Brewing Donates” and Spring Fling on our?Events Calendar. At CCT we rely on generous donors like you to provide the resources we need. Thank you to everyone who donated in the month of February. The AmazonSmile triple donation promotion starts today! If you’re an Amazon Prime member you can easily set up your account to donate a portion of your purchases to CCT. AmazonSmile is a website operated by Amazon that lets customers enjoy the same wide selection of products, low prices, and convenient shopping features as on Amazon.com. The difference is that?when you shop on AmazonSmile, the AmazonSmile Foundation will donate 0.5% of the price of eligible purchases to CCT. 3x your impact! ?Amazon is?tripling the donation rate?on your first?smile.amazon.com?purchase – NOW through?March 31! Go to?smile.amazon.com/ch/51-0185383?and Amazon donates to Center for Community Transitions! The purpose of this friend-raiser is to garner community support and raise awareness about the needs of people reentering the Charlotte community from jail or prison, and the needs of Charlotte children experiencing parental incarceration. This evening will feature a?special guest performance?by?Playing For Others?teens of their spoken word piece, “Build People, Not Prisons” and the premier of CCT’s newest video, developed by?Basic Cable. You’ll also enjoy live music, appetizers from?Ink N Ivy, beer and wine. Early bird tickets may be? NoDa Brewing,?2921 N. Tryon St.
SHARE Charlotte is concluding DO GOOD Week (National Volunteer Week) with a volunteering event at NoDa Brewing, and CCT is one of the participating nonprofits! The event will be Saturday, April 21 from 12-3pm. Stop by and enjoy some sips from one of Charlotte’s best breweries while shuffling around to the various nonprofit booths, including CCT, for hands-on, table top activities. Fun for kids, friends and families! More information with a link to the event is coming soon. Stay tuned? April is National Second Chance Month! Second Chance Month is a time to recognize the reality people released from jails and prisons face when they try to reenter our communities: difficulty finding housing, work, transportation, and more. This April we have a fun way you can help! Come on out to NoDa Brewing on April 23rd from 4pm-9pm and order a draft beer. For every draft beer sold, NoDa Brewing will donate $1 to CCT! CCT is a nonprofit in? Save the Date and join us for our 6th annual volunteer appreciation event – Spring Fling 2018! Check back for more details!